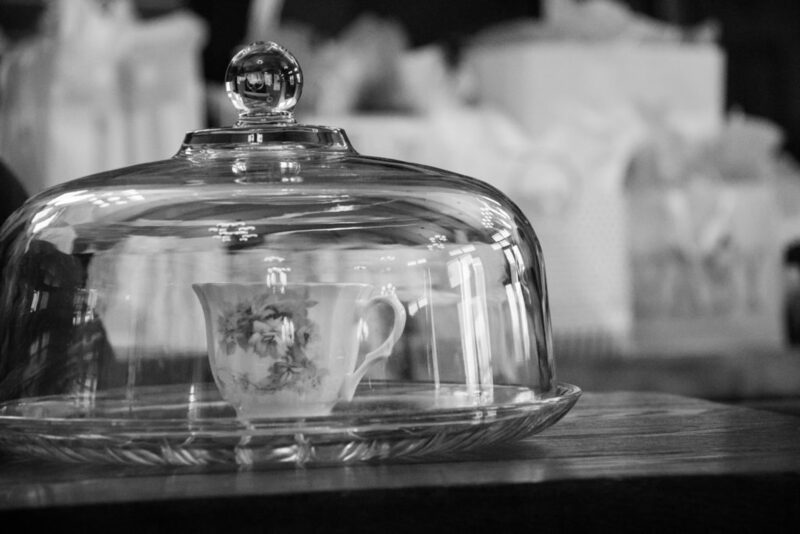 Taken at a Mad Hatter Tea Party celebrating a baby shower, I loved the light reflecting off the glass dome making it appear as if the tea cup were trapped inside two domes as gobs of presents loom in the background. Sometimes I feel like that tea cup, set aside sitting beautifully hidden beneath a shell of isolation while looking out on others in celebration. I love parties and I especially love celebrations. Too often it’s tempting to sweep these moments under the rug and cave into the desire to not make a big deal about them. Weddings are a big deal and wanting to celebrate with friends and family in adding someone into your life is worth celebrating in whatever way that means something to you. Having a baby and bringing a new life into this world–be it your first child or your fourth–is a big deal and worth celebrating. Graduations are worth celebrating the hard work and transition from one chapter and accomplishment to the next. Birthdays are worth taking a moment and celebrating the number of years being on this earth, be it just one year or sixty-seven. These moments in life are worth celebrating. Don’t miss them. Don’t pass them up. Don’t stay in a shell. Celebrate when it’s time to celebrate. It’s worth it.